Avi Vantage supports running in the Nutanix Acropolis hypervisor orchestrated by Prism. This guide walks through the steps required to install Avi Vantage in this environment. The resources suggested in this installation guide are minimum recommendations for a proof of concept. See also the hardware requirements KB for more sizing help. Avi Controller: The Controller needs at least 4 vCPUs and 12 GB memory. Also needed is a NIC for the management network. This is the network used for accessing the web interface. The Controller also uses this network to communicate with the Avi Service Engines (SEs). SEs: Each SE needs at least 2 vCPUs and 2 GB memory. Also needed is a NIC for the management network as the first interface, and additional NICs for the data networks. 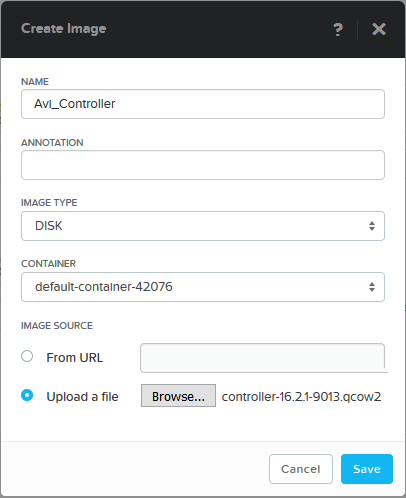 Avi Vantage 16.1+: The Controller image file is obtained from the avinetworks.com/portal. 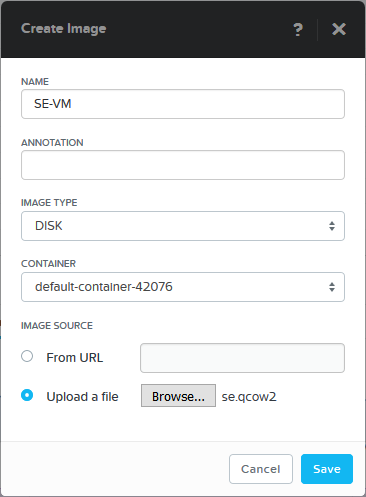 From the image repository, select the latest software version > OpenStack section > controller.qcow2 image. The SE image will be downloaded from the Controller. Nutanix Acropolis 4.6+: Prism is required for creating the Avi VMs. For a refresher, refer to this brief tutorial on creating VMs. Create the Controller VM from Prism. NIC > VLAN Name: Select a network that will be used for management. This network will be used for the access to the Controller by administrators and for Controller-to-Service Engine communication. For production environments this should be a static address. 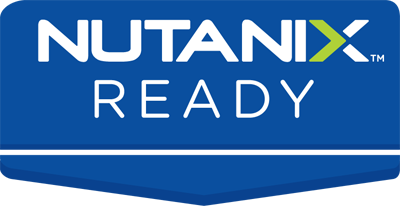 A note on configuring networks and IP addresses for the Controller and SEs: Usually, networks will have been created by the customer beforehand (refer to step 8 in the Nutanix Acropolis 101: Creating VMs tutorial). One simply selects that network when adding a vNIC to a Controller or SE. Based on how the network was originally set up, the IP will be static or picked via DHCP and assigned to the vNIC. Power on the Controller VM. During the initial boot-up, the Controller will initialize databases and run through internal setup tasks (may take several minutes). Set up the Controller. From the GUI setup wizard, perform the initial configuration of the Controller. Provide a password, DNS, and set the Infrastructure Type to No-Orchestrator. Download SE image. From the Controller web interface, navigate to Infrastructure > Clouds. Click the download icon shown on the right. A small prompt asks which type of SE image is desired. Select qcow2. The first time this operation is executed, the Controller will create the new SE image, which may take several minutes, depending on disk performance. Once the image is created it will automatically download to your browser. Copy the auth token. The new SE will be required to authenticate to the Controller by presenting a valid token that is generated by the Controller and placed on the SE. This token may be used only once, and expires if not used within one hour. From the Controller, navigate to Infrastructure > Clouds. Click the key icon to generate a new token. Copy the token, which will be used at the end of the next step. Create one NIC in the management network used by the Controller. This NIC is reserved for management. Create additional NICs as necessary for access to client and server networks for load balancing traffic. Note that while the management network may be used for load-balanced traffic, it will require a second NIC configured for that network. Custom Scripts: Paste the following information into this section. This info is used to tell the Service Engine about the Controller IP address and the auth token it should present. The auth token should have already been generated in step 3. See the graphic for an example. Verify connectivity between the SE and Controller. Power on the SE VM. From the Controller, navigate to Infrastructure > Dashboard. The SE icon should be present and green. Repeat as necessary to create any additional Service Engines.